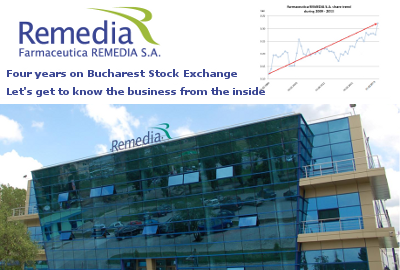 Farmaceutica REMEDIA S.A. celebrates 4 years on Bucharest Stock Exchange. 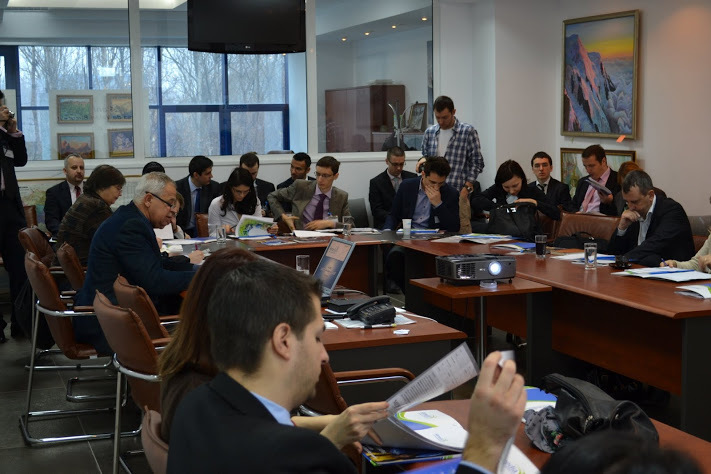 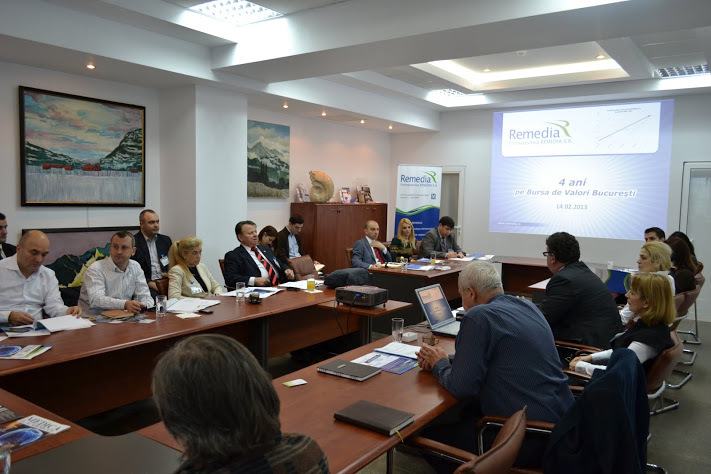 By this occasion Farmaceutica REMEDIA S.A. presented the financial results for 2012, during an event Thursday, 14th February 2013, at the company headquarter in Bucharest. 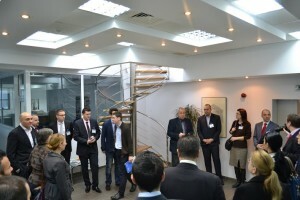 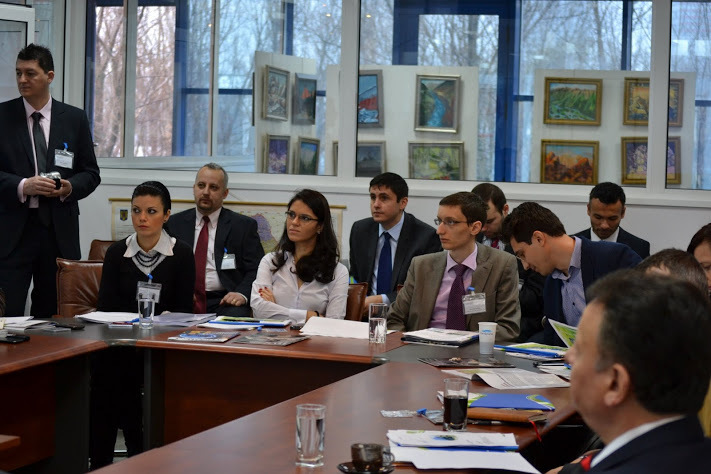 Experts from private investments funds joined this event. Farmaceutica REMEDIA S.A. presented the new trend of the capital market, “Let’s get to know the business from the inside”. The preliminary financial results achieved by the company in 2012 were presented during this event. 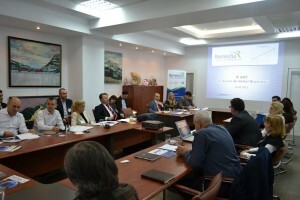 Farmaceutica REMEDIA had a net profit for 2012 of £ 3.4 million and a net turnover of 237 million, 18% higher than in 2011. 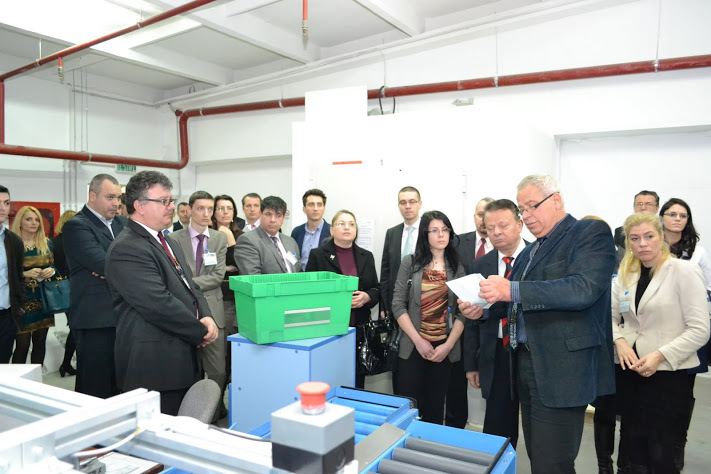 From the moment of the listing, the company shares grew nearly three times so far and each year the company offered dividends to investors, policy that intends to be kept. 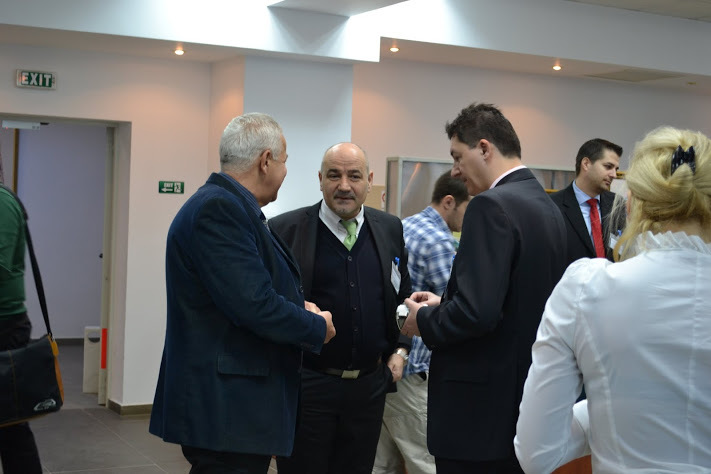 Clubul investitorilor (Investors Club) presents the event “Farmaceutica REMEDIA S.A., 4 years on Bucharest Stock Exchange” in an original form, click here.